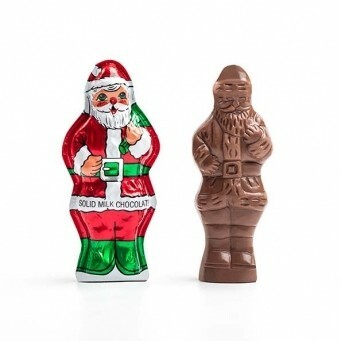 Santa Solid (2 oz.) 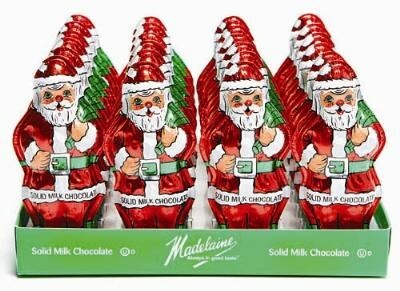 from Madelaine, festively detailed solid milk chocolate, 3-dimentional molded, 4 1/2 inches tall. Delivered in a counter top display with 24 pieces in each. 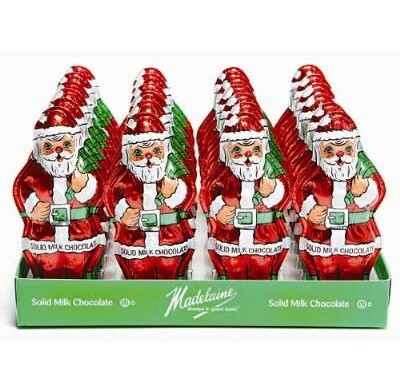 These Santas are perfect for your counter and just right for stockings. Kosher Dairy.